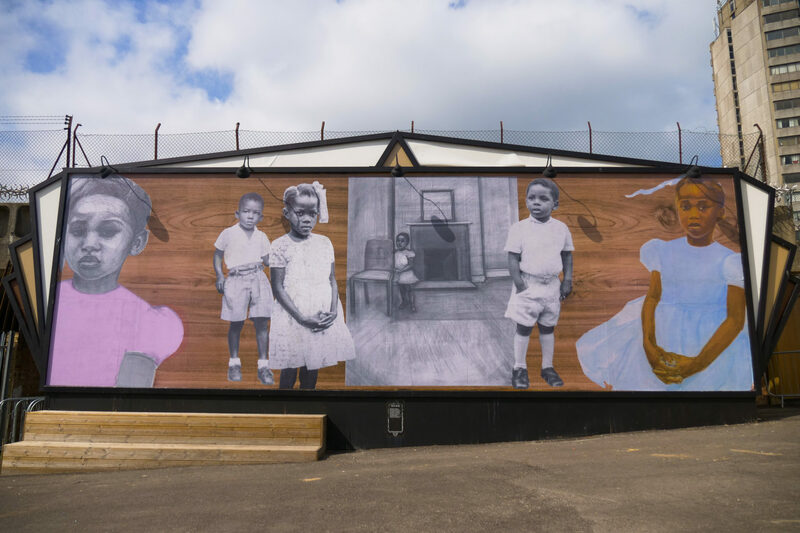 Both in her visual images and in her writing, Valda Jackson creates complex narratives that reflect and questions our past and present with intent on our reflections on the future. A published writer, Jackson is currently exploring the performative elements within her practice that calls on her experience of a Jamaican British heritage, of growing up in a culture that sits, at times uncomfortably, within another that is larger, dominant and imperial. Her work is about existence. It’s about survival, individual entitlement, privilege and, above all, dignity. These themes extend themselves into much of her Public Art Commissions where the personal becomes universal. She is joint winner of the Public Monuments and Sculpture Association’s Marsh Award 2017 for the work ‘Four Brick Reliefs’, made in collaboration with Rodney Harris (also a Spike Island studio holder). Recent projects include: ‘Still Holding On’ presented at Dreamland Margate StudioTAC commission; Literary Archaeology, a collaboration between University of Bristol Department of English, and archaeologists from University of Cambridge and University of Exeter. Presented papers include: Conference Afroeuropeans, University of Tampere Finland (2017); Seminar Framing the Critical Decade, After the Black Arts Movement, History of Art Department, The University of Bristol (2016); Conference: What’s Happening in Black British History, Watershed, Bristol (2016).